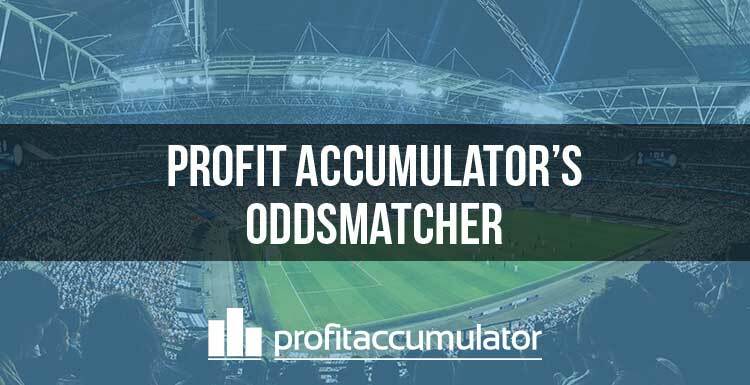 Profit Accumulator's matched betting oddsmatcher is one of the essential tools our members use to generate extra income in their own time. The oddsmatcher - or automatcher as it is sometimes referred to - complements the free bet calculator. They are arguably the two most important resources for matched bettors. They are two of the bespoke industry-leading software offerings available to Profit Accumulator members. The automatcher / oddsmatcher allows users to quickly find closely matched back and lay odds to neutralise risk. 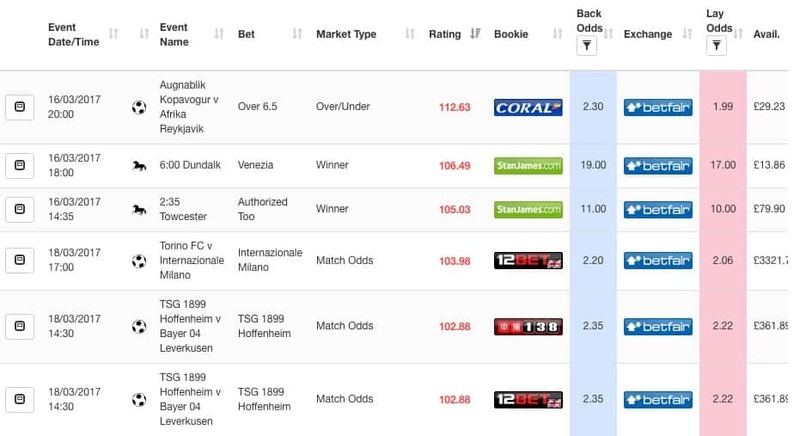 The matches are rated to show how much profit or loss will be made from the qualifying bet. The automatcher also displays the date, event, bookmaker, exchange, lay odds, back odds and the amount of liquidity currently available in the given exchange. Users can filter results by sport, market type, bookie and exchange. The results can also be limited by rating, odds, liquidity and timeframe. There is a direct link with the matched betting calculator, which allows the data to be inputted into the the free bet calculator at the click of a button. As well as the basic oddsmatcher, Profit Accumulator offers advanced oddsmatching tools - Match Catcher and Acca Catcher. Match Catcher is state-of-the-art software that finds horse racing bets with lightning-fast odds updates to allow members to take advantage of refund offers. Acca Catcher is a football accumulator tool that vastly reduces the time and effort to make guaranteed profit from accumulator refunds. 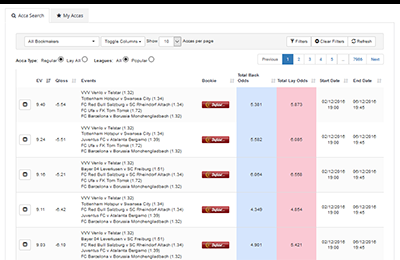 Users no longer have to manually search through bookmakers and exchanges or use complicated spreadsheets. Users can see the estimated value and qualifying loss of each acca, and then use the calculator to work through the accumulator as results come in. Most bookies have different criteria to qualify for an acca refund but Acca Catcher factors this in, meaning the user does not have to worry about it. Matched betting relies on earning an income from the bonuses and free bets that bookmakers and other gaming companies offer to new and existing customers. Many of these bonuses require an initial bet to be placed to qualify - known in matched betting circles as the "qualifier" or "qualifying bet". This is where the oddsmatcher comes in. 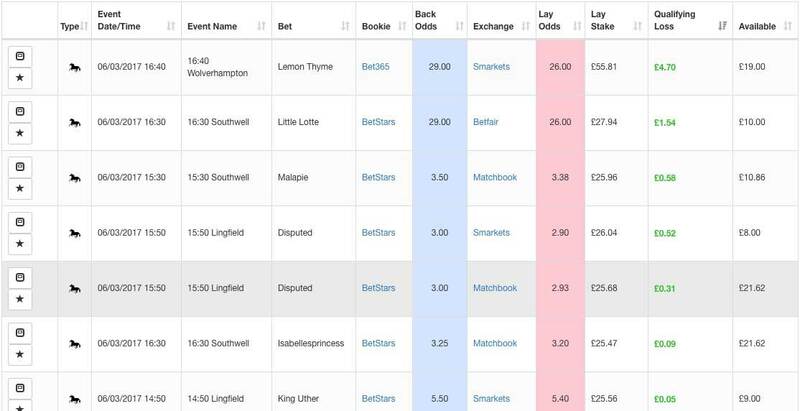 To ensure the qualifier doesn't lose money, or at least to limit the loss made on the qualifying bet, oddsmatching software can be used to find two closely matched bets - that is where the back odds (with the bookmaker) are as close as possible to the lay odds (with the exchange).